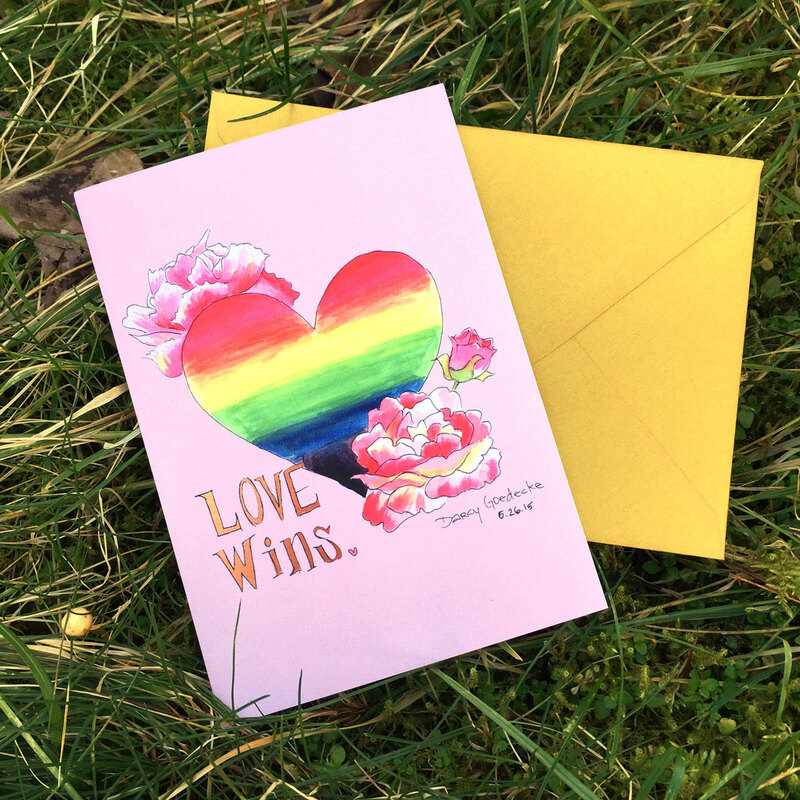 Celebrate your love with this greeting card made from an original watercolor painting of mine. It’s blank on the inside so you can personalize it for any occasion! Comes with a gold envelope.